The conflict in eastern Ukraine’s Donbas region, which covers areas of Donetsk and Luhansk Oblasts (provinces), began in 2014. Following rising tensions in the region, pro-Russian separatist groups declared independence and Ukrainian government forces have since fought to regain control. 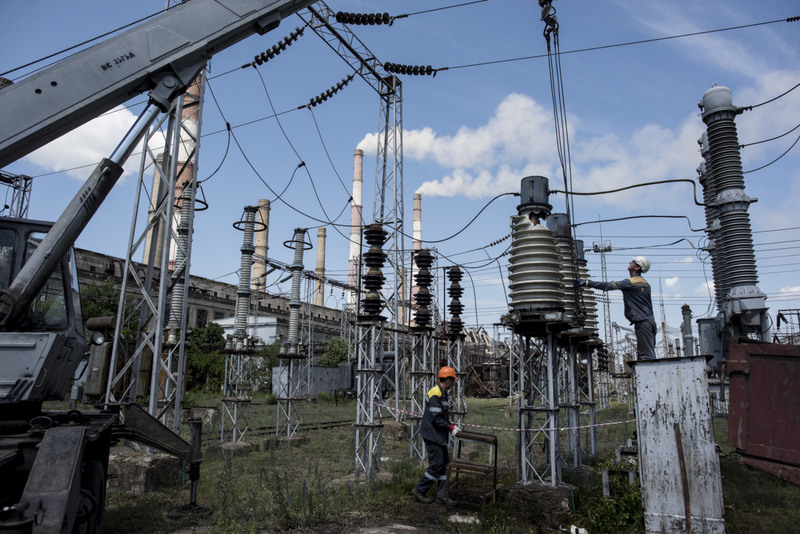 The Donbas region has a 200 year history of coal mining and heavy industry, prior to the conflict, pollution was widespread and the region’s industrial past has heavily influenced the environmental problems linked to the conflict. Cuts in electricity supplies and disruption from the conflict have led to the breakdown of water pumps in coal mines, leading to flooding and groundwater pollution. The use of heavy weapons has carried with it risks of serious pollution incidents from sensitive industrial facilities and civilian infrastructure. Waste management systems have been severely degraded and overwhelmed by conflict debris, pollution from munitions residues is suspected and a range of environmental services have been impacted by the conflict. The region’s ecosystems and natural resources have also been affected, with agricultural areas degraded, and forests and protected areas damaged by felling, fires, mining, and military activities. Concerns over the environmental risks associated with the conflict were first raised by domestic and international NGOs in 2015.1 Subsequently, a number of governmental, international and NGO entities have sought to document and collate environmental data on the conflict.2 The health and environmental risks from damage to industrial and water purification facilities continue to be of particular concern.3 Both Ukraine and the separatist groups have acknowledged these hazards and the wider environmental problems linked to the conflict. Many hazards, such as groundwater pollution from flooded mines, or industrial accidents, have the potential to affect wide areas and could therefore be a point of cooperation across the line of contact. The OSCE, which monitors the conflict, is increasingly seeking to address its environmental dimensions. UN agencies and the authorities on both sides have ongoing programmes to repair and maintain basic environmental services, such as waste management, water and energy supplies. However, a lack of comprehensive field data in the areas affected is limiting efforts to precisely determine the conflict’s environmental impact, and any associated humanitarian risks. As such there is an urgent need to restore pre-conflict environmental monitoring systems.